You know I love the coast! It’s the place I go to recharge and regroup in the quiet and peace of my beach cottage. 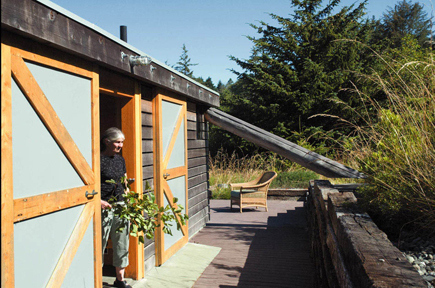 When I discovered this tiny, garden home on the Oregon coast, designed by architect, Obie Bowman, I knew I had to share it with you. 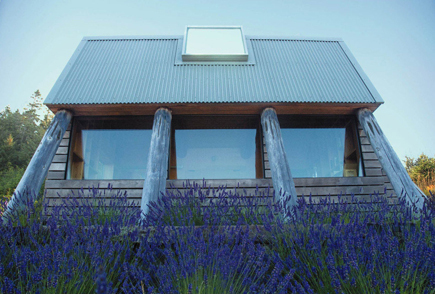 This little gem of a home measured 325 sq. 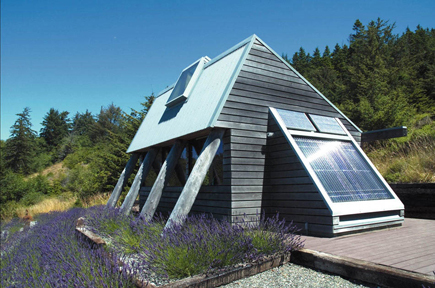 ft., is completely off the grid and built using recycled and reclaimed materials – gotta love that! 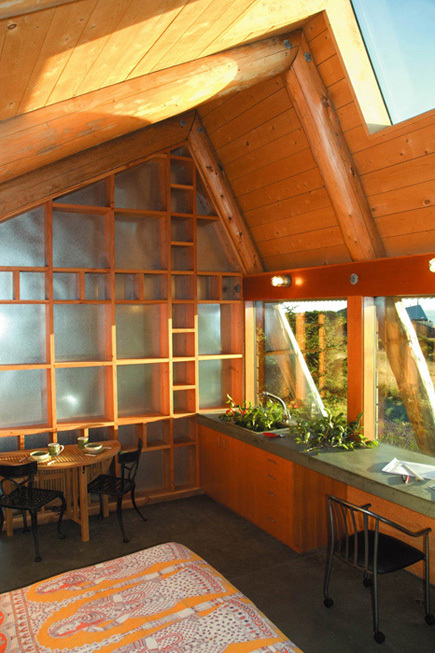 With many environmental systems in place, this small residence is low maintenance and superbly green. Let’s go on a tour shall we? Isn’t it lovely? 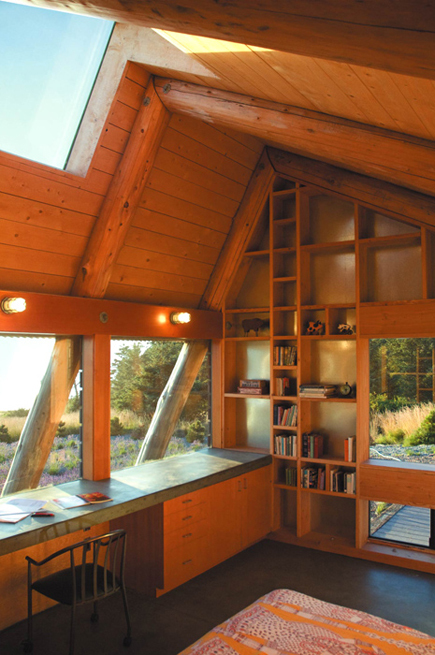 Right now, it serves its owner as a guest house and writing studio – I think I could definitely pen a couple of worthy books sitting in this light filled home on the ocean! 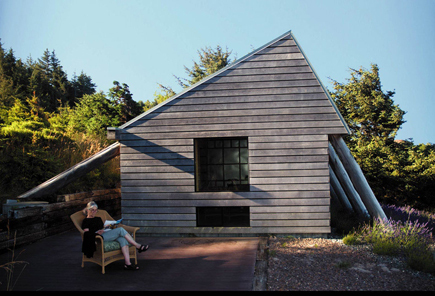 For more gorgeous architectural designs check out Obie’s website! I love this setup and its construction. There was one view of this house that I missed though. The back wall of the interior was not shown. Is it possible to see the rest of the interior?